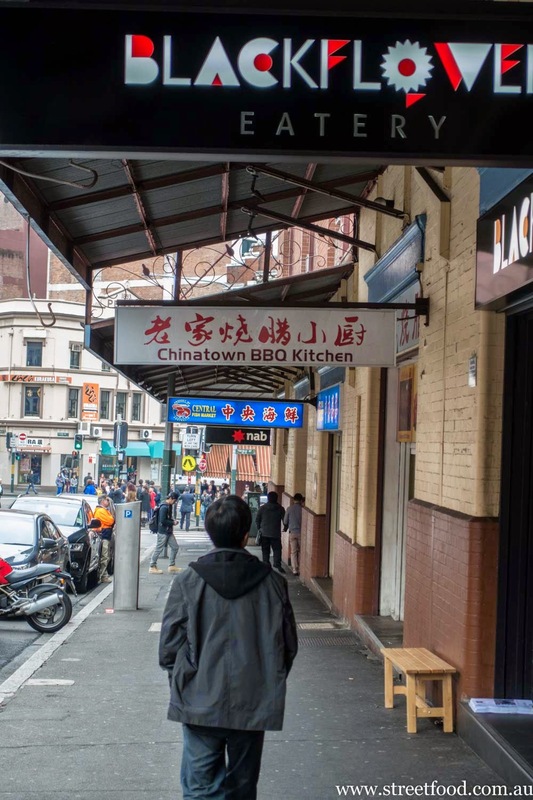 Chinatown BBQ Kitchen gets none of the hoopla of BBQ King and Emperor's Garden but it has it's own special place in our hearts. 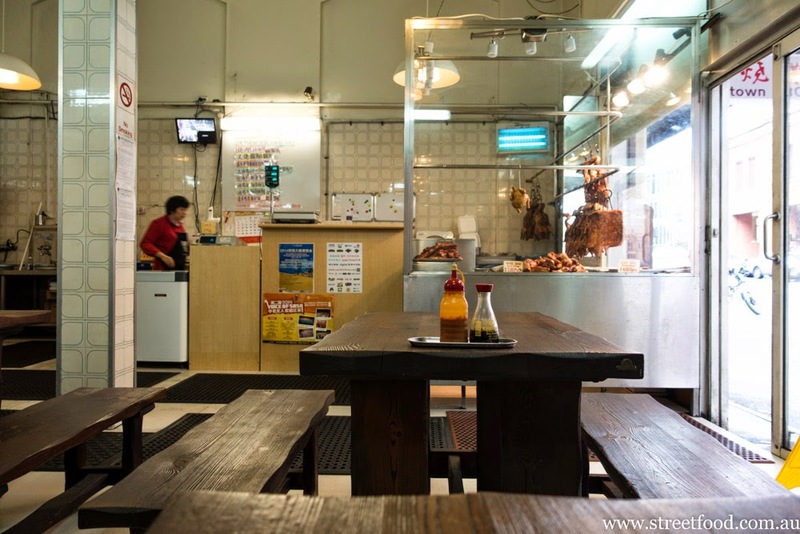 It's mainly a takeaway and (we assume) wholesale joint, but there's a couple of tables for diners. We're not experts on bbq but dang we've eaten a lot of it, and the bbq here tastes pretty good to us. Mr Shawn loves dropping in for lunch. It's a quiet spot, nice for a bit of time out. 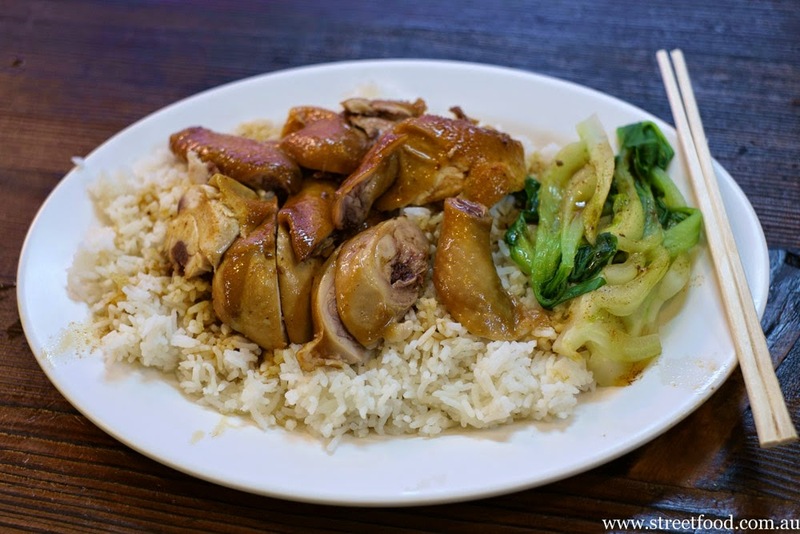 There's usually a couple of other diners so it's rarely lonely, and there's a trickle of old Chinese aunties and uncles dropping by for some takeaway bbq and a natter. BBQ duck on rice, about $9. 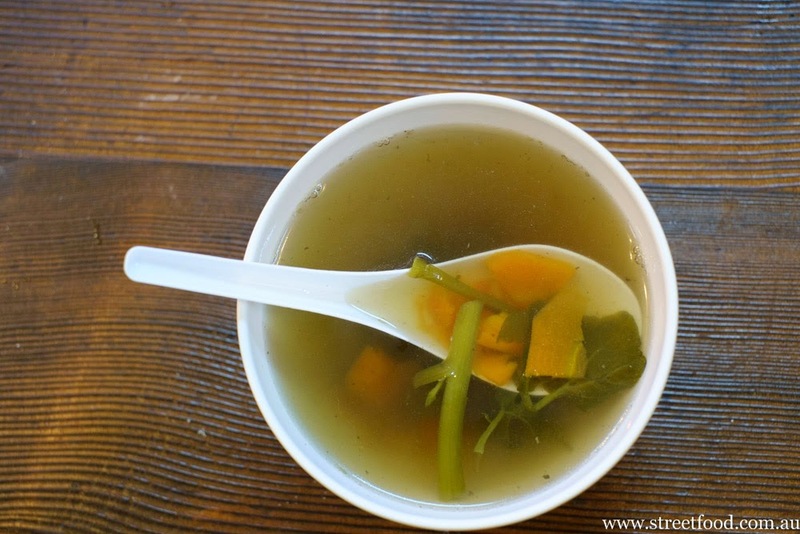 The side soup is surprisingly good, it has real food in it. Soya chicken on rice, about $9. The veggies here are a beaut, wonder if they have a bit of stock pored over them or something, there's more flavour than your usual steamed veg. 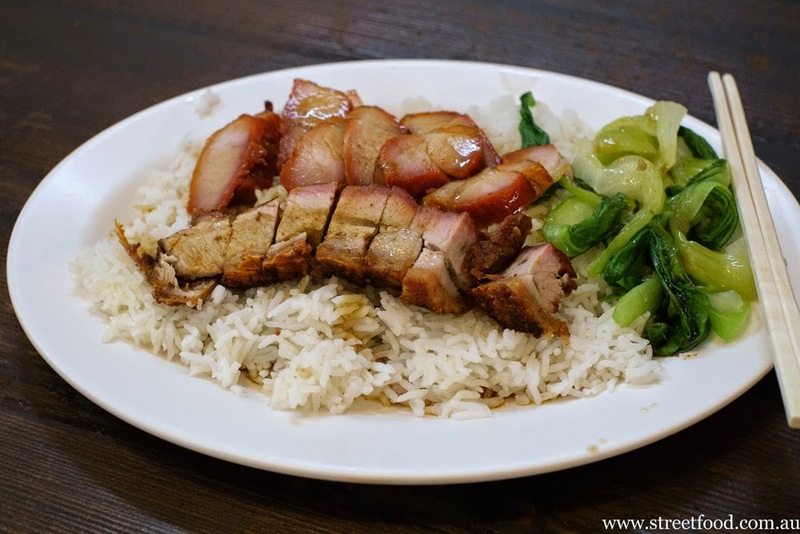 BBQ pork and roast pork on rice, about $12. 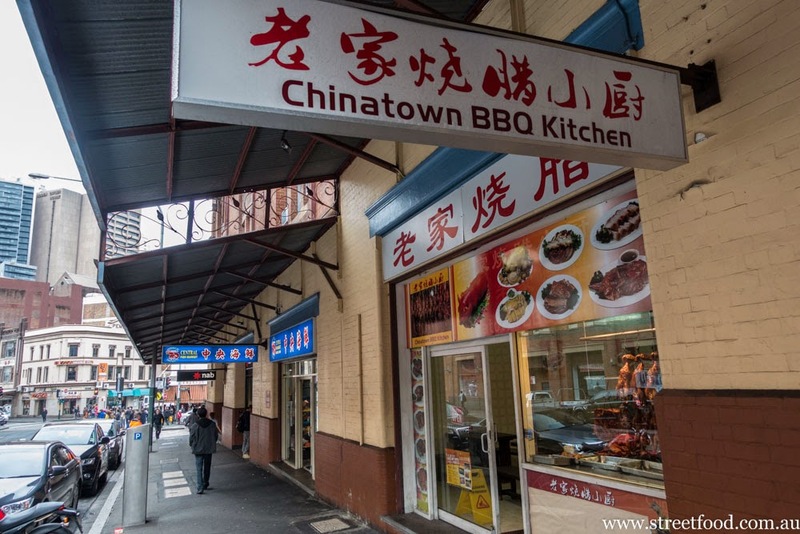 Chinatown BBQ Kitchen is on Ultimo Road, Haymarket/Chinatown - opposite Paddy's Markets. That looks so yummy! 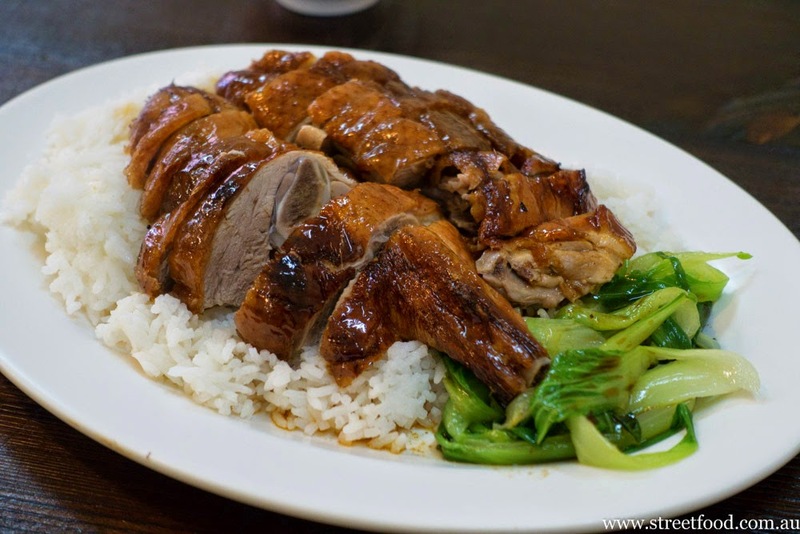 Im a sucker for BBQ duck and rice, my mouth is watering as I write this!